Apprising Ministries continues to point out the horrid effects of postmodernism upon apostatizing evangelicalism as spiritual darkness continues to fall. With practicing Mormon Mitt Romney again running for president, it serves to present us with another nauseating example. 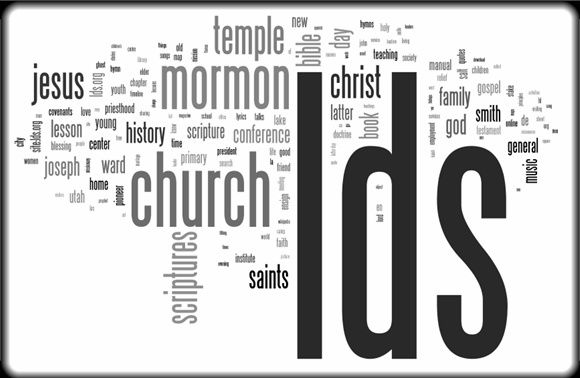 Sadly, too many in the visible church are now working to try and make the Church of Jesus Christ of Latter-day Saints (the Mormons) a legitimate expression of the Christian faith. Having personally studied Comparative Religion for nearly 25 years, including Mormonism in heavily Mormon southwest Wyoming for 10 years, I can tell you nothing could be further from the truth. Simply put, no organization that doesn’t teach what the Bible teaches about Jesus Christ can claim to be Christian. Such is the case with the LDS Church, which presents a very similar problem as the apostate Roman Catholic Church. There are individuals who disagree somewhat with official teachings of their respective churches, yet remain with them. However, their personal beliefs are irrelevant to the discussion of church doctrine. The RCC has its supposed “infallible” popes who are believed to receive direct revelation from God. In their president, the Mormon Church also has its “prophets.” As with the RCC, they are considered infallible with their own dogma. The point being, once they teach doctrine concerning God, it cannot be changed. So you see, you don’t go to individual Mormons to assess the teachings of the LDS Church; you need to go to official Mormon sources. Here I’m going to destroy a very common misconception: The Mormon Church doesn’t take a position on how the birth of Jesus Christ came about. At best, this is disingenuous on its part. By using the term scripture, there’s no mistaking here that Brigham Young is claiming divine revelation in his sermons, i.e. God is speaking through him. As such, the position of the Mormon Church is already formed as he speaks. No way around it; and what an individual believes, no matter how sincere, won’t change this fact. Already existing as God—the Second Person in the Holy Trinity—the incarnation of Christ Jesus of Nazareth came about by the working of God the Holy Spirit, without the aid of a human father, so that Mary gave birth to Him while remaining a virgin. Jess L. Christensen, Institute of Religion director at Utah State University, Logan, Utah. On first hearing, the doctrine that Lucifer and our Lord, Jesus Christ, are brothers may seem surprising to some—especially to those unacquainted with latter-day revelations. This is a denial of the full Deity of Jesus Christ, not to mention gross blasphemy. Bottom line: This is not the Christ Jesus of Nazareth taught in God’s Word, the Bible. With this in mind, now let me show you exactly what Mormon prophet Brigham Young taught about the birth of Jesus Christ. Journal of Discourses, Vol. 13, 95.